We've put together this little page to try to answer some of your questions right away. We'll be adding to this page as necessary and if your question is not answered here please don't hesitate to ask! We love getting questions but keep in mind that when asking questions specific to training we cannot give out "free advice" simply because without knowing the situation and the dog personally we cannot be confident we are giving you the advice you need. Question: How much does training cost? Answer: Training can cost anywhere from next to nothing to thousands of dollars depending on where you go. There are many options when it comes to training your dog. At Free State K9 you could opt to do a Board and Train, or one on one lessons with the trainer. If you choose to train with us your experience will start with a free evaluation and demonstration to asses what you wish to achieve during training. Board and Train packages are more expensive than individual lessons with the trainer but they come with a limited guarantee. 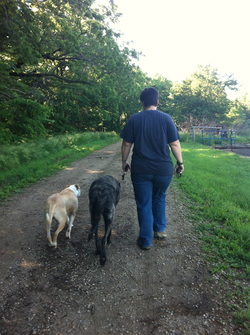 Group lessons are often not appropriate for a dog who just starting training and a one on one approach is much more effective. Your dog may graduate to a group lesson or two to "proof"(i.e. test out your dog's new skills with some distractions and new smells) but it is not how your dog will start. Board and Train packages run anywhere from $300 - $1200 depending on how far you wish your dog to go. How much individual lesson training with us will cost you depends entirely on how many lessons your dog needs and how advanced you want him to be. It also depends on how much work YOU are willing to do. The trainer can only do so much with a weekly lesson and much of the training must be done by you. If you do not do the work involved with training your dog then it will take longer and will require more lessons to get the results you want. However, if all you want is a few lessons so your dog minds his manners then it will be relatively inexpensive. A full list of our prices is on the Obedience Training page. Question: How long does training take? Answer: There are many factors in determining how long the training could take. Has the dog had previous training? How much time do you have to train your dog? Board and Trains range from 3-14 days. There is no way to know how long training will take. The trainer will be able to give you an estimate based on your evaluation but exactly how long it will take is not something that can be known for sure simply because circumstances are always changing. Question: Do you offer a guarantee? Answer: Not with weekly lessons. 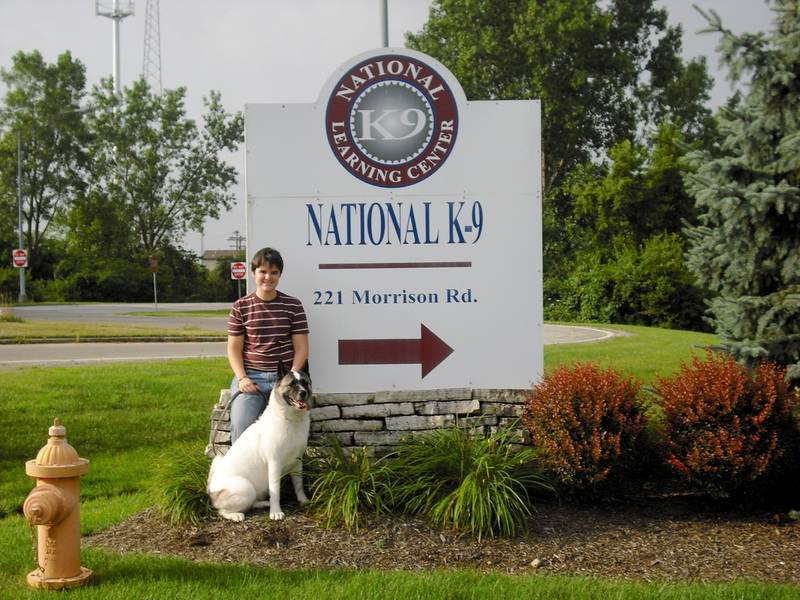 Free State K9 offers no guarantee that your dog will be perfectly trained forever after training with us. Training is an ongoing process. Dogs will revert back to old unwanted behaviors or develop new ones if the fundamentals of training are not remembered after training is finished. We can help solve problems that crop up after the initial training is finished but reputable trainers will not promise that problems will not occur. Question: Do you train dogs with severe aggression problems? Answer: No. Because our training is done in-home it would be unsafe for the trainer to undertake a client with severe aggression problems. Aggression problems must be taken very seriously and dealt with carefully. Currently our premises for Board and Trains is not equipped to handle dangerous dogs. Without a facility equipped to tend to aggression problems it is too dangerous to take on aggressive dogs. Kylie and me on graduation day. Question: Do you use choke chains? Answer: Yes. I use many different tools depending on the situation. I have been trained by the experts at NK-9 how to use the tools (training collars, prong collars, electronic remote collars) properly and safely. When they are used properly there is no harm done to the dog and the corrections are vital to the training. 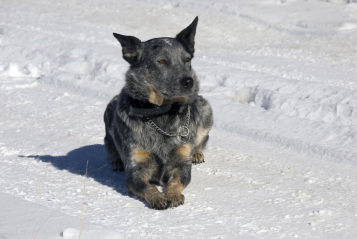 If the dog is never told when he does something wrong we do him a disservice while training. He's trying to please and do a good job and if we do not tell him when he does it wrong there is a much greater possibility of confusion and training will be slowed down. The collars also help you gain respect and when the dog understands the consequences for disobedience (coupled with the benefits of obedience) he is more likely to want to pay attention to you no matter what else is going on. Question: Do you use treats or clickers? Answer: No. Treat training is very unreliable. In your kitchen or in your yard it is likely that your dog would absolutely love to sit for a piece of chicken or a cookie. But what if there's a squirrel? Another dog? What if he is full? What if he sees his buddy across the street and runs into traffic? Would you be able to get to a treat in time to get him out of danger? There is always a possibility of a "bigger treat" and then your little piece of chicken is all but forgotten. This is why we use corrections for unwanted behavior and praise from the owner for "good decisions". Your dog will work for your praise. Once you start training with me we will begin the process of adding value to your praise and in doing so giving you a tool always at the ready when your dog gets it right. Clicker (or marker) training is useful for trick training or service dog training when capturing the exact moment of success is vital but I do not use it for obedience training. Question: Do you train all breeds of dog? Answer: Yes. We have no breed limitations. What will limit whether or not I can work with a dog depends on what I call "common sense limitations." If your dog is 15 and has a multitude of health problems it is probably not in the dog's best interest to start a rigorous training program. Pit Bulls and Bullies are welcome at NK9. Any severe aggression cases from ANY breed might be asked to leave (see question on aggression). Free State K9 reserves the right to decide at any time during training that a situation has arisen that makes it unsafe or unfair to continue training and training may be discontinued. Depending on the situation a refund may not be given. please note! Free State K9 does NOT train wolf/dog hybrids. Wolves are a separate animal from dogs and are outside the scope of Emily's expertise. Wolves are wild animals and do not belong in a domestic setting. It would be necessary to bring in a wild animal expert to train the wolf/dog hybrid and the training would not be dependable. 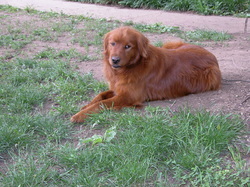 If you are looking for a dog and like the "wolfy" look there are many breeds of dog that can satisfy a Jack London fan. Wolves are best left to themselves, in the wild. Question: What are your cleaning procedures? Answer: Even though Free State K9 is too small to be considered a commercial kennel we hold ourselves to the same standards Emily was taught at the Lawrence Humane Society. Kennels are kept clean and they are sanitized regularly using gentle but effective products. It is extremely important to Emily that dogs are not made to relieve themselves in their kennels and so the kennels are kept free of urine and feces most of the time just through the strict potty schedule that is adhered to. Even so, daily the kennels are swept and sanitized and the entire kennel bay is deep cleaned once a week when the kennels are empty. The yards are kept scooped and the floors are kept swept and sanitized as part of our daily routine. Question: Do you do just plain boarding? 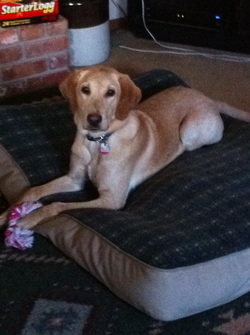 Answer: Free State K9 extends boarding services for clients who have already trained with us. In order to board you must have either completed a board and train package or trained your dog in basic leash obedience during weekly lessons to be eligible. Cost is $25 per day. Space is limited.